I smell his bad breath a second or two before I feel his hand on my arse. That’s the weird thing about public transport gropers, they always seem to have personal hygiene issues. ‘What’s your problem?’ I shout, as I spin around to face him. Immediately, the crowd of people jostling around the ticket barriers parts. The one thing commuters hate even more than delays is a confrontation. The guy with the dodgy breath and wandering hand obviously hadn’t expected this. He looks to either side, desperate to pass the buck. He shuffles his feet and looks at the ground then pushes his way towards the ticket barrier. next time, OK?’ I glance behind to see Sadie looking at me with a raised eyebrow. ‘What?’ I say. ‘He got off lightly if you ask me.’ There is now a clear path in front of me to the ticket barrier. I go straight through and wait for Sadie on the other side. A young guy with dark hair stops in front of me. ‘Nice takedown,’ he says with a smile. He is wearing a plum-coloured jacket over a white T-shirt, like he’s come in for dress-down Friday on a Monday by mistake. The smile falls off his lips. ‘Point taken,’ he says, before walking off. Breakfast (I hate the word ‘brunch’ so I refuse to call it that, even when it is after ten thirty) for me consists of a huge blueberry muffin (that I hope will count as one of my five a day) and a can of Tango (that possibly counts as another). Mum used to tell me that the day would come when I wouldn’t be able to eat and drink all that crap without looking as if I did. I’d taken it as a green light to have as much of it as possible while I could still get away with it. I hear footsteps approaching as I stand waiting to pay. Sadie gives me a nudge. I look up. The guy who’d offered to go after the groper is standing there, bunch of flowers in hand. Actually, it isn’t a bunch; it’s a proper bouquet. Handtied, I think they call it, not that I’ve ever seen a machine tie flowers. All conversation in the queue stops. I am aware my cheeks are turning the same colour as the roses in the bouquet. ‘I know, but I wanted to. I also want to ask you out to dinner but I’m not sure if that would be risking a massive public bawl-out so I’ve left my business card in there with the flowers. Call me if you’d like to take up the invite. And thanks for brightening my morning.’ He turns and walks away, one of those supremely confident walks that stops just short of being a full-blown swagger. ‘I might not call him,’ I say, lowering my voice, aware other people in the queue are listening. Sadie smiles at me and looks down at the flowers. As well as the roses there are lilies and loads of other things I don’t even know the names of. ‘They must have cost him a packet,’ she remarks. ‘Shame he didn’t know I’d have been happy with a blueberry muffin then,’ I reply. She laughs. I hold the flowers a little tighter, despite myself. You have 18 months left to live . . . On a wet Monday in January, Jess Mount checks Facebook and discovers her timeline appears to have skipped forward 18 months, to a day when shocked family and friends are posting heartbreaking tributes to her following her death in an accident. Jess is left scared and confused: is she the target of a cruel online prank or is this a terrifying glimpse of her true fate? Amongst the posts are photos of a gorgeous son she has not yet conceived. But when new posts suggest her death was deliberate, Jess realises that if she changes the future to save her own life, the baby boy she has fallen in love with may never exist. Released 27th July 2017, click here to buy. Another thing I had certainly not anticipated was being in tears before I even got to Chapter 2. This book really played with my emotions, it was beautiful yet heart-breaking, upsetting yet uplifting and I absolutely loved every minute of it. Angela is such a bright, vibrant and loveable character who, despite not featuring in the present day, still shines out purely through the monologues, recordings and poems that she complies for her A-Z. I felt as though I built up a good picture of her in my mind of this flamboyant, sometimes outrageous lady who was full to the brim with love for her daughters. The way she saw the A-Z through, despite the end of her life becoming more and more imminent, was an inspiration and the longing that she possessed for her daughters to be reunited, despite not being around to see it for herself, will really tug on your heartstrings. Poppy and Rose were both fascinating characters and easy to relate to – whatever your situation. Rose has found herself in a vicious cycle of overeating in a bid to conquer her unhappiness, whilst lonely Poppy fills the void in her life by sponsoring children in other countries (which there’s nothing wrong with…only she currently has 27 on the go…) There were times when I wanted to bash their heads together (and I’m sure Angela felt exactly the same way) I was desperate to find out what occurred in their lives all those years ago to cause them to fall out as spectacularly as they did. 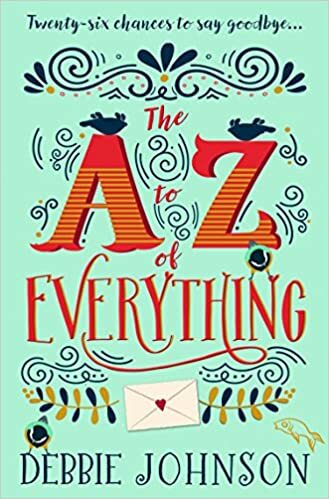 I absolutely loved the idea behind The A-Z of Everything and it was unlike any book I’ve ever read before. It’s based on such a unique concept and you can’t help but wonder how you would react if you were faced with Rose and Poppy’s situation. The way in which the story is formatted helps you to build up a realistic image of both the girls past and present, as you piece together the mystery of how things ended up the way in which they did. The overwhelming theme to this novel is, of course, grief. Debbie Johnson tackles this tricky topic with sensitivity and tact whilst sprinkling in a hefty dose of hope and warmth for good measure. Understandably Rose, Poppy and Lewis (who I loved, incidentally – it’s all about the tweed…) are going through a tangle of emotions and Debbie manages to portray their feelings so well, really getting to the heart of their emotions through her writing. The other thing I took away from this novel is to never forget how precious time with loved ones really is. It’s all too easy to let petty feuds and arguments get in the way of what is really important and this book is a stark reminder that we should embrace and enjoy every moment we get to spend with the people we care about. My favourite thing about The A-Z of Everything is that whilst the story centres around losing a loved one and the emotional upset that follows, it is also interspersed with humour. There are many moments where I found myself quietly giggling, as well as wiping away the odd tear (Angela on the carousel anyone…?!) Allowing the reader to take away the message that despite how dark things may seem there is always a silver lining hiding somewhere and we should never take life for granted. I adore Debbie Johnson’s writing. She brings her characters to life in such a unique and understated way and I love the direction that her writing appears to be taking with The A-Z of Everything. 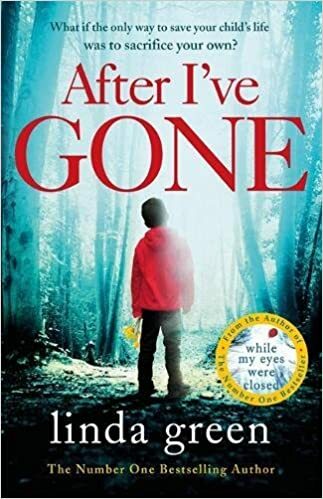 You can tell that Debbie put a huge amount of time and research into writing this novel too, it’s so brilliantly executed and I honestly can’t fault it. It’s a real story about real people and one of those books that will have you crying both tears and laughter and tears of sadness. I always think this is a really tricky balance to achieve but Debbie does this with ease. A huge thank you to Felicity at HarperCollins for the opportunity to review. To say I was excited is a teeny, tiny understatement. I was technically shopping for books and this was MY JOB. I had all sorts of ideas in my head as to what this magical place would be like, but it completely surpassed my expectations. Whilst it may look like your average building from the outside, the inside of Peters is spectacular. 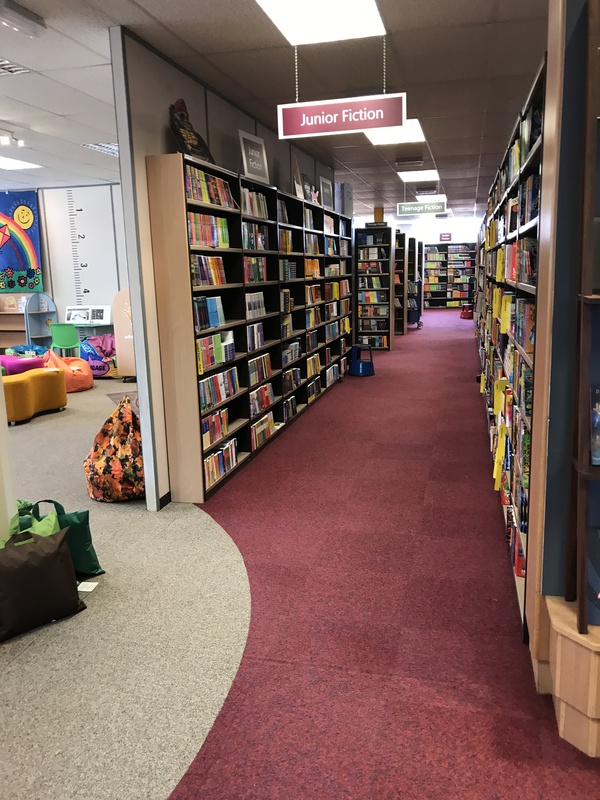 Then when you get onto the floor where the magic happens (aka you buy the books) it’s like entering a calm, tranquil, gorgeous-smelling room of heaven. I could practically hear the harps playing and the fluffy clouds underneath my feet. It was like entering the most gorgeous of bookshops and having it practically to yourself. 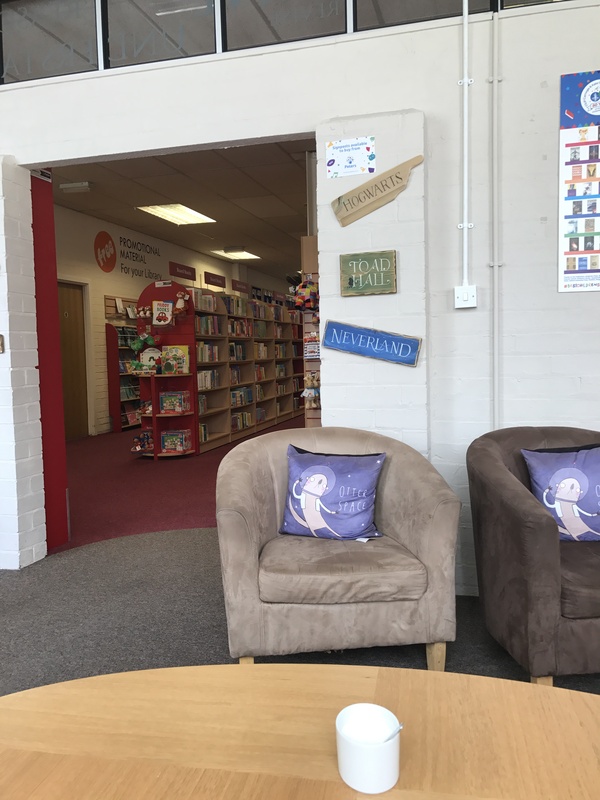 We were greeted by one of the really lovely librarian’s when we first arrived who had a rough idea of what we were after and had hand-picked a few titles for us beforehand. It also being one of the hottest days I have ever known in my 27 years on this planet I was relieved to discover that Peters has first-rate air con. This is very important because I would undoubtedly get flustered as I was deliberating over the Angelo Saxon books. But before the book-buying there was some very important business to be dealt with. Lunch. 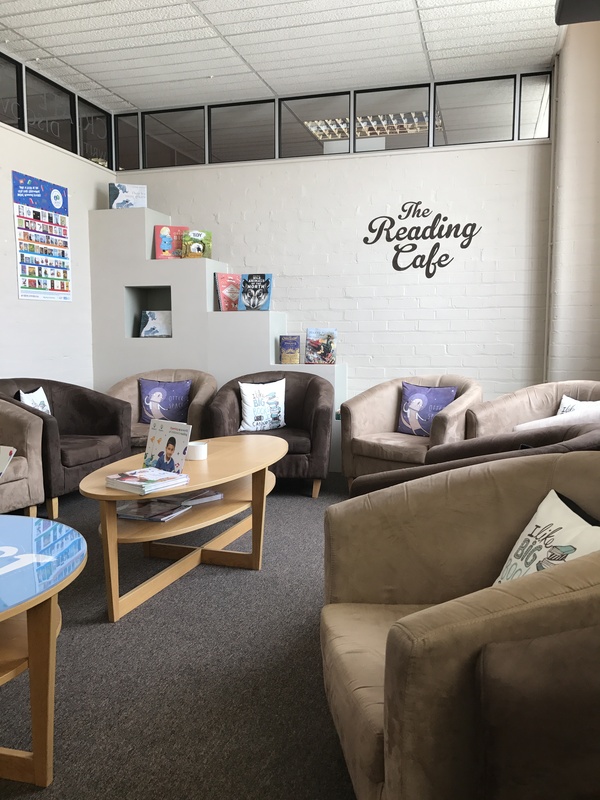 Yes…They even provided lunch in their gorgeous Reading Cafe which was filled with bookish quotes and the most enviable bookish cushions I’ve ever seen in my life. Once I had scoffed my sandwiches and cake (book buying is hard work and requires sustenance) we were off. Starting with non-fiction, the lovely librarian explained how things worked and pretty much left us to it. It’s such a dizzying prospect to be faced with thousands of books and deciding which ones would work best for your library. Whilst this was a hugely exciting task it was also pretty scary – I wanted to choose the right books. 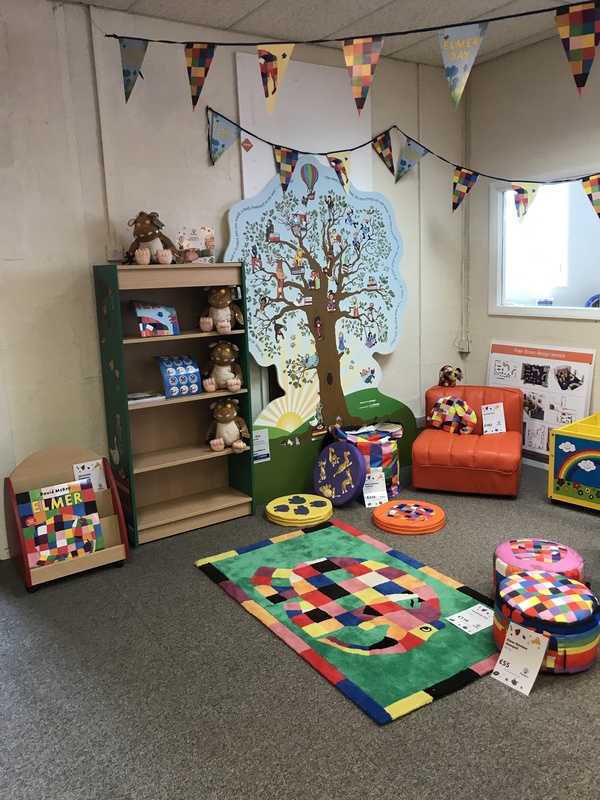 Books that the children would enjoy, books that would encourage them to read, books that would help them with their learning. It was really important to get this right. I’m not fibbing when I say there were literally books about EVERYTHING. 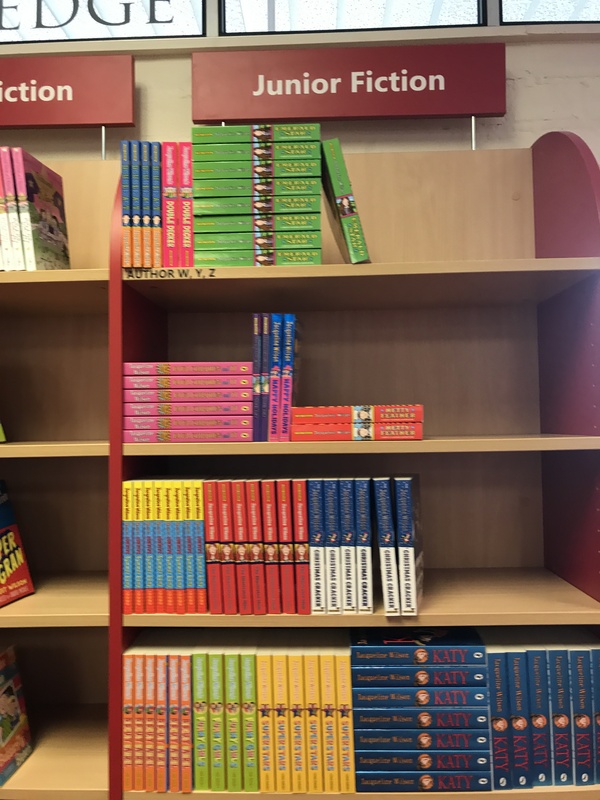 Some children had requested books on YouTube, tutorials, becoming a game programmer…well guess what – Peters had those…and every other slightly obscure topic you could think of. Every request that we had was satisfied. 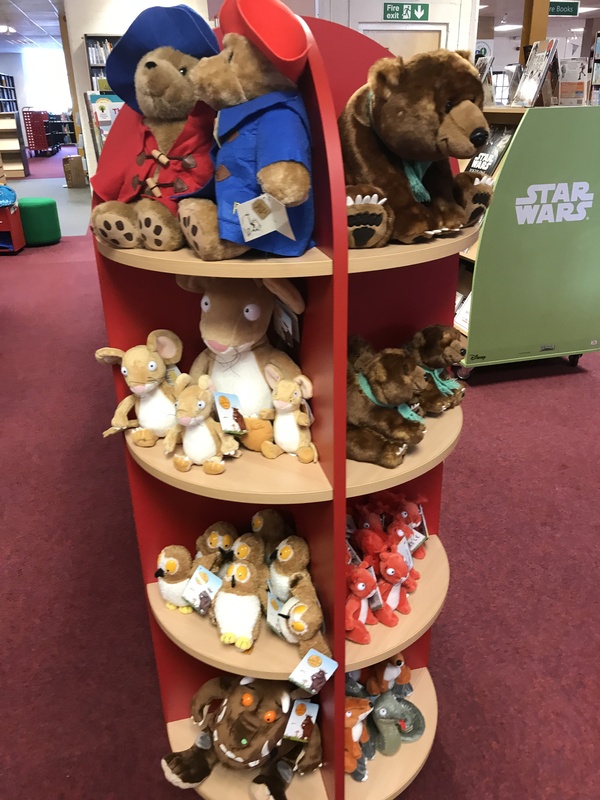 The time flew by in a blur of picture books, early readers, fiction and new-releases. My school being a first school I didn’t venture into the young adult section, which is probably a good thing because I know I would have wanted one of everything. I was also impressed with the amount of wonderful freebies on offer. 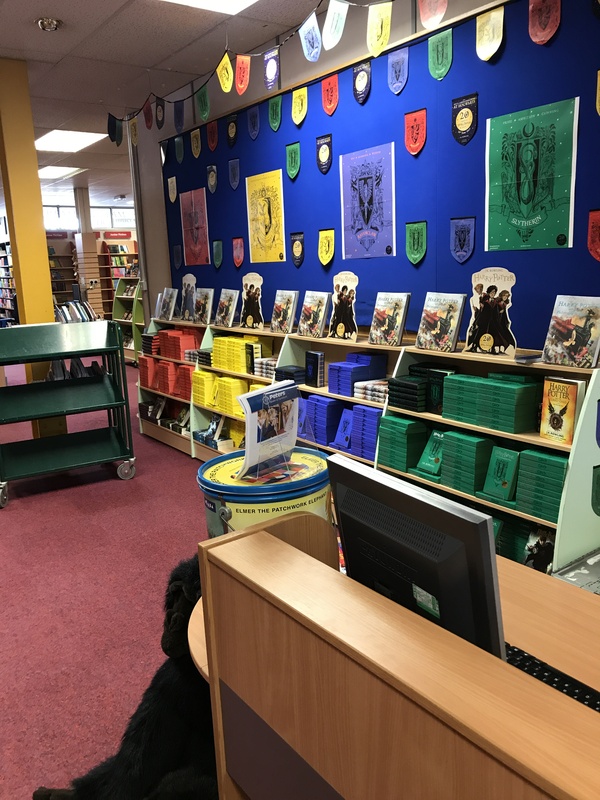 I came out with zillions of colourful posters, cardboard display stands and a very cool Harry Potter trunk which I am rather excited about. My experience at Peter’s was insane and I loved every minute. I still can’t fully believe that I was given this opportunity and I just hope that I selected our books well and they help to establish that all-important love of reading in the pupils. Twenty-one year old Beth is in prison. The thing she did is so bad she doesn’t deserve ever to feel good again. What is the truth hiding behind her crime? And does anyone – even a 100% bad person – deserve a chance to be good? When we first meet Beth she is undergoing counselling in prison. We don’t know exactly what it is she has done to land herself there, but when her therapist, Erika, tells her to write a list of all of the good things in her life she is doubtful. What if there aren’t any good things? And more to the point, does she deserve to have anything good in her life ever again…? I WAS ABSOLUTELY BLOWN AWAY. All the Good Things completely consumed me. It took over my life for the two days that I was reading it and real-life became an inconvenience that was to be dealt with as quickly as possible so I could bury myself back within its pages. 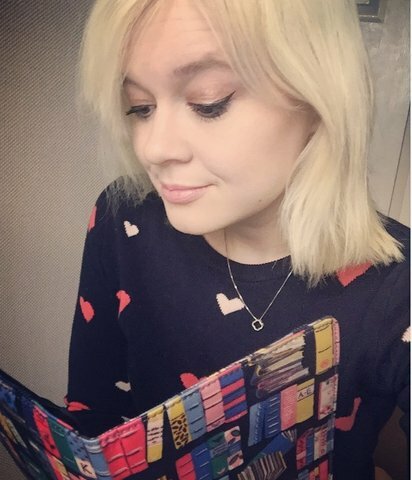 I loved the format of the story, the title of each chapter being an item from Beth’s list and then we go on to find out the story behind what it was that made her happy (and some of these things were magical…Friends you can be weird with and Flirting on Orange Wednesdays were my personal favourites). It then plays out chronologically, each telling us a different episode from Beth’s life. As the story progresses it becomes more and more difficult to believe that Beth is now only 21. She has been through so much in her short life, the difficulties starting when she was only a young child. Since then her life has been a catalogue of disasters and failings upon other peoples part as she is constantly let down…Whether that’s by the authorities, the people who are supposed to be there helping her, or, perhaps most painful of all, those closest to her. I desperately wanted good things for Bethany. I didn’t know what the ‘bad thing’ was that she’d done to land herself in prison, but my heart broke for this young women who had no one. You can’t help but place yourself in Beth’s position throughout certain parts of the novel and I’ll freely admit that if I was in some of the situations that she found herself in I would either be a sobbing mess/terrified/ready to just give up. 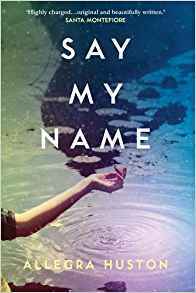 Yet Beth keeps on fighting, which is what drew me to this hugely complex and deeply affecting character. She felt so very real to me and has such a strong voice throughout the story. When I discovered what the ‘bad thing’ that Beth had done really was, my opinion didn’t necessarily change. 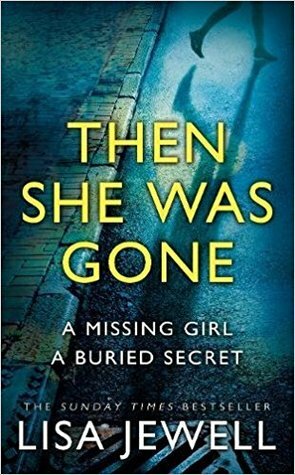 It shocked me, it frightened me, it upset me..but it also got me wondering – despite being ‘100% bad’ – wasn’t Beth really a victim herself? Despite the awful things that Beth has been through and the battles she’s faced, this is still a story full of hope. It’s profoundly moving and one of those stories that I really can’t get out of my head. I find myself wondering what happens next for Beth, despite finishing this book over a week ago. 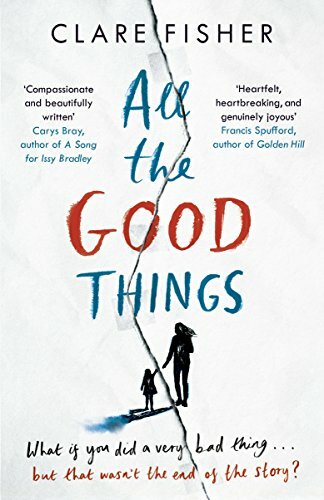 All the Good Things is one of those books that reminds me why I love reading so much. When a story can completely consume your thoughts and you find yourself becoming so involved with the characters that you are daydreaming about them when you’re supposed to be working you know that your books a good ‘un. And this really, really was. BIG STYLE. I honestly can’t believe that this is Clare Fisher’s debut. Where did she come from? I sincerely hope that she’s writing her second novel right this second because I desperately need to read more from this hugely talented author. I loved her style of writing, her characterisation, her unique voice, the way in which she makes the reader feel fully immersed in the story, the way she manages to correlate both the good and the bad, the unhappiness and the happiness, the sadness and the joy. I just love Clare Fisher. 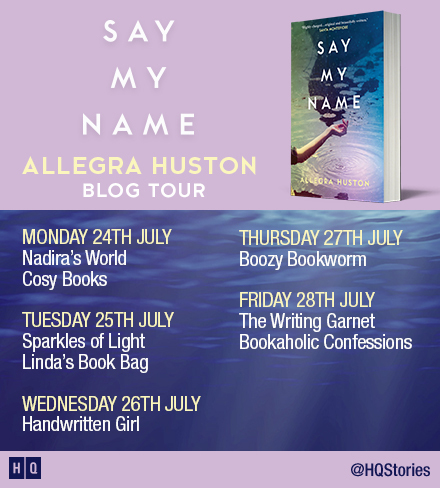 Just writing this review has made me want to re-read All the Good Things (in case there were bits I missed…You never know…) If you’re looking for a good novel to get into over the summer then this needs to be top of your list. Just don’t forget the tissues and be prepared to lose a day or two of your life to this superb story. 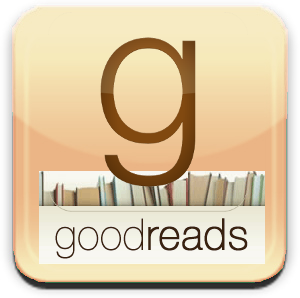 A huge thank you to Penguin for the opportunity to read and review All the Good Things.